To me, many of the Sinhala fonts floating around today, with either an extremely monolinear stroke, or a very exaggerated modulated stroke, cause the letters to seem very alien. How could such complex characters ever have been written, and at what scale were the scribes able to put in so much detail? 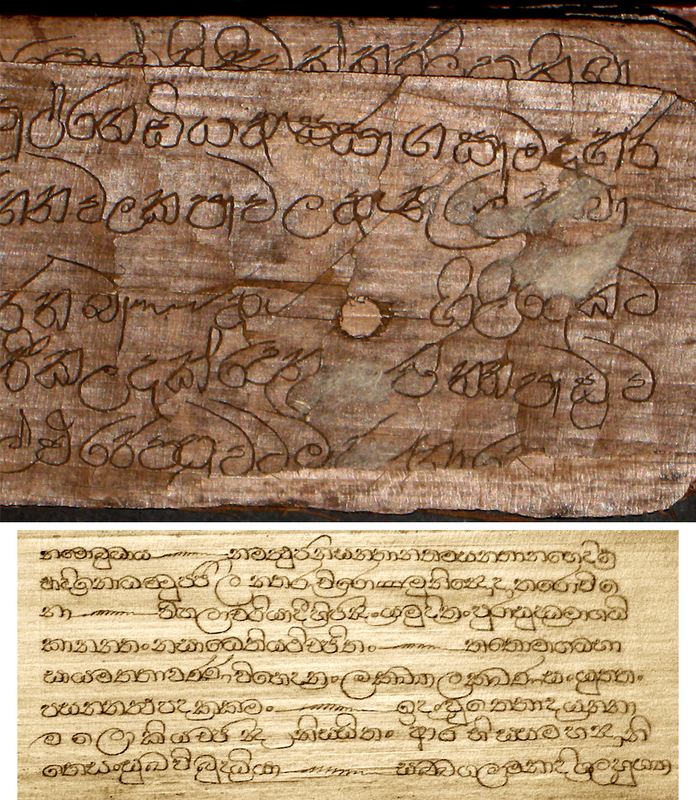 Viewing original palm leaf manuscripts, or “ola”, written with the point of a metal stylus sheds some light on the script! The forms were written with a very thin stroke, and very subtle modulation was created in the incising process. Try comparing these manuscripts with Monotype’s Iskoola Pota, or some of the pirated fonts floating out there.